We do Residential and Commercial Garbage Pick-up! Contact us for details. – Tuesday Route: January 1st rescheduled to Wednesday January 2nd. – De Salaberry Route: December 31st – all residents SOUTH of P.R. 205 will have regular service. Residents NORTH of P.R. 205 (including Family Lane) will NOT have garbage service. R.M. of De Salaberry residents please note that garbage pick up is rescheduled to Tuesday for all holiday Monday’s. Residential pick up available in most rural areas. Please inquire about fees. We collect your recycling and garbage using automated and semi-automated collection services. Find out how the collection works, and its benefits. 1. HOW DOES AUTOMATED COLLECTION WORK? 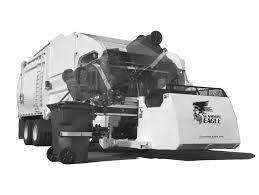 From inside the vehicle, the driver activates a mechanical arm on the garbage or recycling truck to pick up, empty and return the cart to its location. 2. WHAT ARE THE BENEFITS OF AUTOMATED GARBAGE AND RECYCLING CART COLLECTION? Cost savings in the long term because automated collection and semi-automated collection are more efficient than manual collection. Fewer litter, odour and pest problems because the carts have lids. Provides a safer work environment for collectors. They will not suffer from the typical injuries that go with repeatedly lifting heavy objects into a truck (e.g., leg, back and shoulder injuries). Nor will they risk injury from sharp objects in garbage bags (e.g., hypodermic needles, broken glass, nails). 3. CAN I PLACE MATERIALS BESIDE THE CART IF I DON’T HAVE ENOUGH ROOM INSIDE? If you have additional garbage, we offer our extra garbage pickup. The fee is $12.00 for each additional bag and can be purchased from the Town of Niverville office at 204-388-4600. Otherwise, you must save any garbage that doesn’t fit in your cart until the next collection day. Contact Bristal Hauling at 204-388-4550 to arrange for special collection of large items that don’t fit in the cart (e.g., mattresses, furniture). A charge will apply. 4. WHAT SIZE IS THE GARBAGE CART? Single-family properties receive one 64-gallon garbage cart and one 96-gallon recycling cart per dwelling unit. You can upgrade to an additional garbage cart for an annual fee. 1. WHEN SHOULD I PLACE MY CARTS OUT FOR COLLECTION? Put your carts out by 8:00 am on your collection day, but no sooner than the night before. All carts must be removed from the roadway by the night after collection day. 2. HOW SHOULD I PLACE MY CARTS ON COLLECTION DAY? Prepare It – All material must fit in the container and the lid MUST close. NO EXTRA MATERIAL WILL BE COLLECTED. All garbage should be bagged. Do not jam or pack items into your cart. Items must fall freely into the truck when the cart is emptied. Park It – Place your container on the street with the wheels against the curb, with at least 3 feet of clearance between the container and any obstacles. If you do not have a curb, place just off the roadway on the shoulder. Containers MUST be out by 8:00 am on your collection day to ensure they are emptied. Remove It – After garbage has been picked up, remove your container from the street to its storage location near your building by the end of collection day. Failure to remove containers could result in a $50 fee. 3. DO I PLACE MY CARTS AT MY BACK LANE OR AT MY FRONT STREET? If there is a back lane behind or beside your property, put your carts in the back lane. If there is no back lane behind or beside your property, put your carts at the front street. 4. DO I HAVE TO PLACE MY CARTS OUT EVERY COLLECTION DAY? No. You can place your carts out on any of your collection days. 5. HOW DO I PLACE MY CARTS IN WINTER? Make sure the area around and under your carts is clear of snow. Do not place the carts behind or on top of a snowbank. Clear the snow and ice off the cart lids so that they open easily when the carts are emptied. Keep the lids closed at all times to keep the snow out of your carts. 6. WHAT DO I DO IF I HAVE DIFFICULTY PLACING MY CARTS ON COLLECTION DAY (E.G., DUE TO TREES, VEHICLES, TELEPHONE POLES)? Allow one arm’s length clearance (one metre or 3 feet) on all sides of each cart to allow enough room for the collection arm on the automated truck to grab your cart. Place the carts so they are not under any low-hanging objects (e.g., trees, eavestroughs, basketball net). If you still have difficulties placing your carts, contact Bristal at 204-388-4550. If you’re moving into a newly constructed home, into an existing home, or out of your current home, you should know this about your recycling and garbage carts. How do I get recycling and garbage carts if I move to a newly constructed home? contact the Town of Niverville office to set up an account with us, and to arrange delivery of a recycling cart and a garbage cart. What do I do with the recycling and garbage carts if I move? Store the carts in a safe place for the next resident to use. How do I get a set of carts if I move to an existing home? A set of carts have been assigned to that address, so we recommend that you account for the condition of the carts at the time of the sale. If the carts are missing or need to be repaired, you will be responsible for the replacement of the carts. You can take these precautions to keep your cart safe and secure. You can also find out what to do if your cart is damaged or missing. What can I do to prevent my carts from going missing or being damaged? 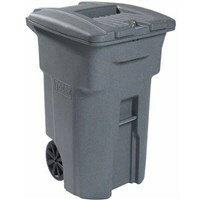 What happens if my garbage cart is damaged? you return the damaged cart to the Town. You must contact the Town of Niverville to buy replacement carts and parts (e.g., lids, wheels). We will deliver the carts and parts for a $25.00 fee or you can pick up the carts and parts at no additional cost. What happens if my garbage cart is lost or stolen? You are responsible for the cost of replacing lost or stolen carts. You must contact the Town of Niverville to buy replacement carts. We will deliver the carts for a $25.00 fee or you can pick up the carts at no additional cost. How do you know which cart belongs to each address? Every cart has a serial number and is electronically tagged, so carts can be traced to each address. There is also a sticker on each cart that comes with the cart at the beginning of its life. Can I purchase and use a cart from a home improvement store? No. The collection trucks will not empty carts sold by home improvement stores. Can I chain my carts to my fence in between collection days so they don’t go missing? Yes, but they must be unlocked and moved to your collection point before 8:00 am on collection day. You can get a larger or an additional garbage cart for an annual fee. Can I get a larger size or an additional cart? No, below are other options to help you with additional waste. All additional waste costs $12 per bag (contact Town office) to be picked up at the same time the rest of your waste is collected. You may transport excess waste to Bristal Transfer Station. You may arrange waste pick up at a fee (Contact Bristal office at 204-388-4550). We’ll remove items and garbage bags that don’t fit in your cart for a fee. Find out how to get them collected. The fee is $12.00 for a pickup of up to three standard-size garbage bags. These items can also be delivered to Bristal Transfer Station at a cost of $35.00 per item. Note: Any items with broken freon lines will be subject to an additional $50.00 fine per item. What you must do if garbage has been illegally dumped on your property. Will you collect illegally dumped garbage? 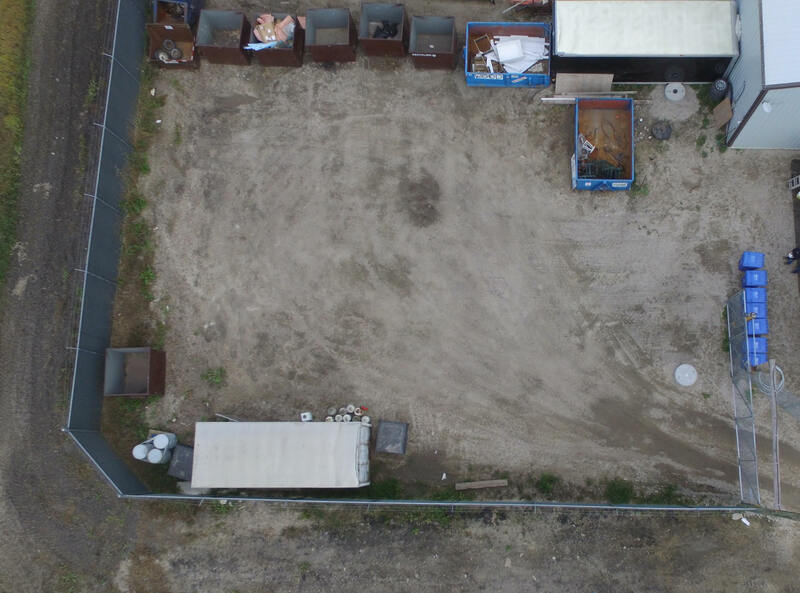 Contact Bristal Hauling at 204-388-4550 by phone or email (info@bristal.ca) to report someone dumping garbage in your neighbourhood or to request a pickup of illegally dumped garbage. Here are some reasons why your collection may have been missed, and how to report a missed collection. If we cannot collect your cart, we may leave a tag with the reason why it wasn’t serviced. The collection arm on the truck needs space (at least one arm’s length clearance on all sides of the cart) so it will not tip over other carts or damage property. The arrows on the cart lid must point to the centre of the street. Dumping the cart backwards can break or damage the lid. The cart lid must be completely closed. Otherwise the lid can be damaged when the cart is emptied. If you have extra garbage bags or large items that don’t fit in your cart, phone 204-388-4600 for a special pickup. If none of these reasons explain why your cart was not emptied, please contact 204-388-4550. Tips to help you keep your garbage cart clean and prevent odours. hazardous materials such as pesticides, explosives, etc. oil, used oil filters, oil containers, etc. ALUMINUM BEVERAGE CANS – Tin cans: Please RINSE, remove labels and flatten if possible. #2 – Milk jugs, ice cream pails, margarine, yogurt, pill, shampoo, liquid laundry detergent container. PAPER: All newspapers, flyers, books, magazines, office paper, phone books & wrapping paper. WE DO NOT RECYCLE THE FOLLOWING PLASTICS: #3, #6, ALL plastic bags, motor oil containers or any containers that carry the skull and crossbones symbol. THESE ITEMS ARE RECYCLABLE, JUST NOT IN YOUR BLUE BOX. VISIT RECYCLEMANITOBA.CA FOR A LIST OF DROP OFF LOCATIONS.